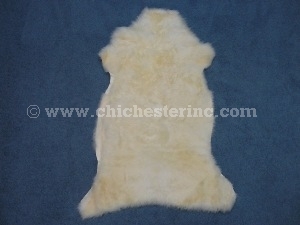 The Hungarian lamb skins that we offer are from lambs eaten at Easter. They are the nicest skins we have seen anywhere. The hair is long, fine, and very soft. As you can see in the picture below, the pile on the hair is 1" long; when pulled upright, the hair is 2" long. The skins have been bleached to a bright white. The hide side has been worked so it is incredibly soft. The hides measure approximately 35" to 40" long and 23" to 25" wide. Sizes vary so some could be larger or smaller. Sheep and lambs are not an endangered species. These hides are a by-product of the food industry. The animals are not killed just for their hides. We can also make these lamb skins into area rugs. Allow US$25.00 per skin extra for cutting, trimming, and sewing. For example, a four-piece rug would cost US$600.00 and an eight-piece rug would cost U$1,200.00. Please allow 4-6 weeks for all custom work. 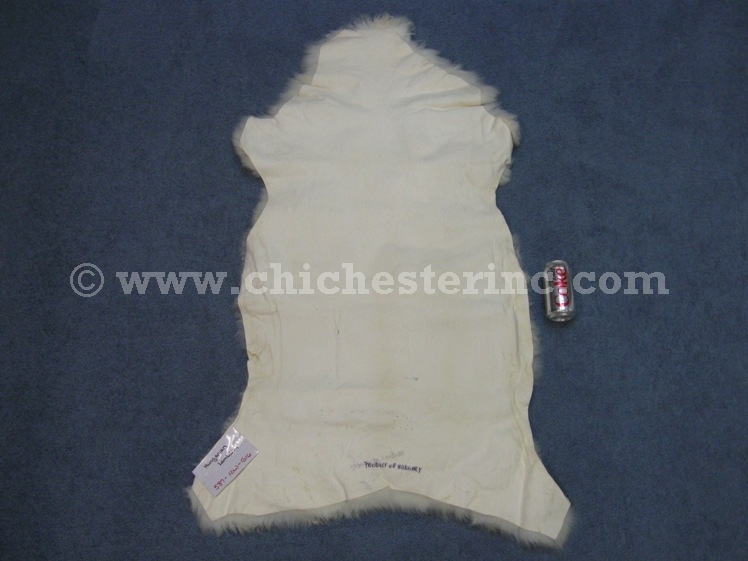 Do not dry clean the skins as the dry cleaning process will remove the natural oils from the skin. For Washing Instructions and Eucalan™ Wool Wash, please click HERE.